The PA15GM, PA15VETTE and PA20GM provide direct connection for an iPod and an optional audio source such as satellite radio, DVD, or video game system, while retaining CD changer functions if equipped. 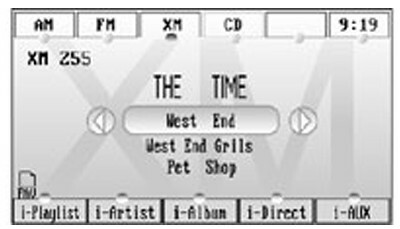 Both the iPod and the additional audio source can be selected from the factory radio’s front panel. USA-Spec provides three modes of operation that can be selected from the radio controls (only 2 on the PA20GM). Playlist Mode, Direct Mode and Folder Mode allow operation as described below. See the notes below for individual interface models. Note: Due to the design of the factory radio, there is currently no compatible interface for 2010 Cadillac vehicles. Folder Mode: Access the iPod's four folder types namely, Aritist, Album, Playlist, and Songs from the radio directly. (not available on PA20GM). PA20GM notes: The PA20GM is designed for newer GM vehicles with factory navigation or in-dash 6-disc changers, and provides full on-screen display and control from the radio’s front panel. The radio’s display permits scrolling through and selecting playlists, artists, or songs and is compatible with most new navigation and non-navigation equipped factory radios. The PA20GM is backwards compatible with most 2007-up vehicles, and displays Song Title, Artist, and Playlist info of the currently playing selection. The interface is compatible with or without a Satellite tuner button, as well as vehicles that have a Satellite tuner that is not active (subscribed). The PA20GM preserves the functionality of the in-dash CD changer and the Satellite radio tuner. USA-Spec’s Dual Mode operation is built-in and provides a choice of different modes to control and play your iPod or iPhone: Playlist mode or Direct Mode. The buttons on the radio select between Playlist Mode, Direct mode and the Aux Input. PA15GM/Vette notes: The PA15GM and PA15Vette offer similar functions as the PA20GM and add another operating mode called Folder Mode. NOTE: The PA15VETTE requires that the vehicle must have XM radio factory equipped, or be pre-wired with the factory cable for XM. ***Order CB-GL29 cable if the vehicle does NOT have XM receiver. If you have any questions about your vehicle or compatibility, please give us a call for more information.